There was time on Thursday to stop and smell the roses! We have a white variety of Dog Rose which climbs all over our woodshed. As I enjoyed the light, sweet fragrance of the blooms I wondered how it got its name. Wikipedia enlightened me – in classical times it was believed that the root was a cure for the bite of a mad dog. 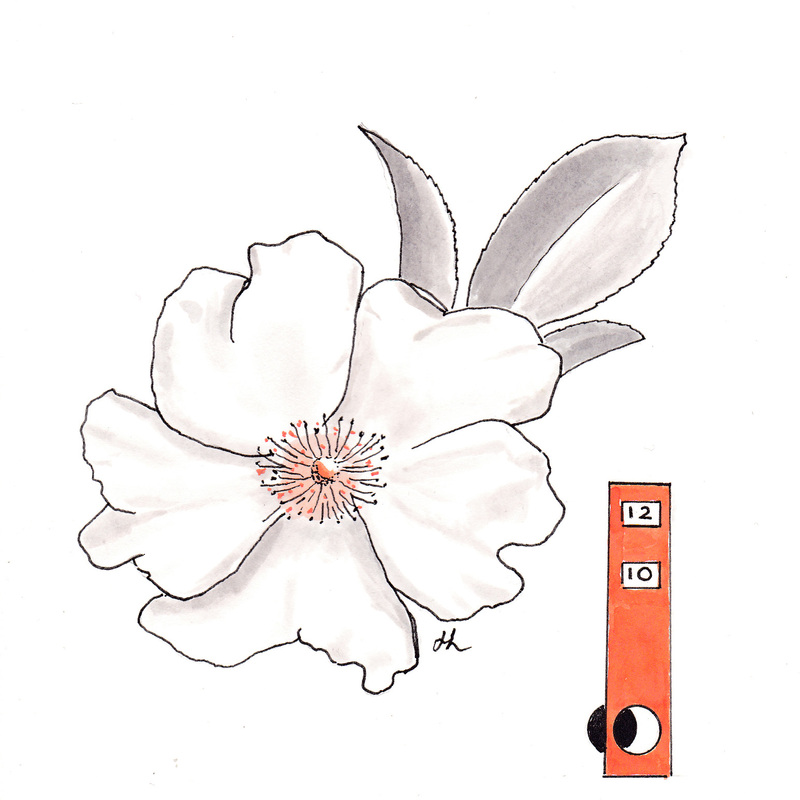 This entry was posted in All Posts, Inktober 2017 and tagged #Inktober, #Inktober2017, Dog Rose, Ink, Pen, Perth Hills, Western Australia on October 16, 2017 by Helen.